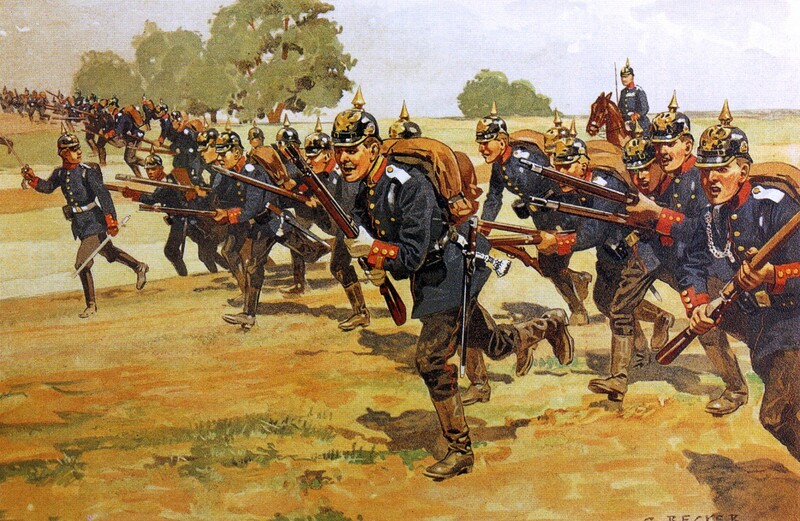 The range will cover initial cover the Imperial German Army of the Kaiser from 1880 to 1910, based on the wonderful artwork by Becker and will include infantry, cavalry and artillery. The first 3 packs of figures consist of Infantry & Command figures, each infantry pack has 4 unique figures, whilst the command pack has 3 figures depicting two officers and a bugler. We produce 28mm miniature Historical & Pulp inspired figures. We work to a ‘true’ 1/56 scale and not a ‘heroic’ scale which means that approximately a 5’10” tall man (average height) would be 28mm to top of his head, our miniatures can vary in ‘height’ but still match each other in ‘scale’. Our figures are highly detailed and suitable for painting, collecting or gaming. We supply our castings in a pewter (white metal) and are unpainted. This sounds very interesting although perhaps the British defeat shouldn’t be trumpeted as inevitable otherwise what’s the point in playing the game? 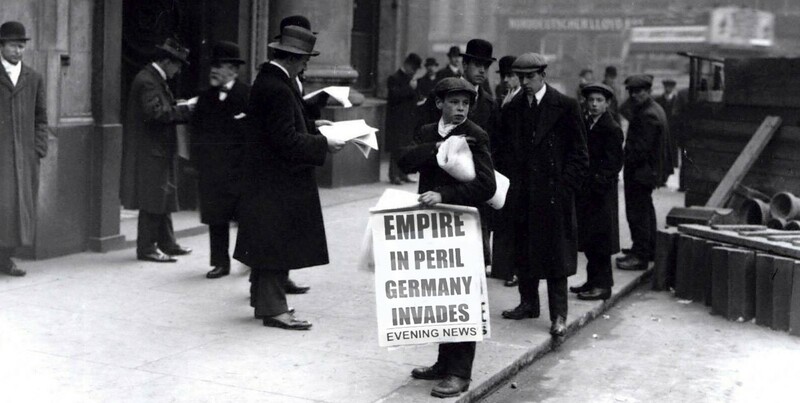 The “struggle of Britain at the hand of an invading German army”, perhaps! 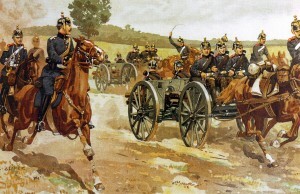 I see this working from skirmish all the way through to campaigns, this allows for historical accuracy and in keeping with classics of the time such as Riddle of the Sands by Erskin Childers or The Invasion of 1910” by William Le Queux, which included The Siege of London, very popular at the time. In 1906 Daily Mail began serializing the story and at the same time, it is made into a play that runs for 18 months in the West End threatre land of London. Remember in The invasion of 1910 it was the Russians and the French invading and the Prussians are allies, albeit on the continent only ……or is that Le Queux’s Great war of 1890. 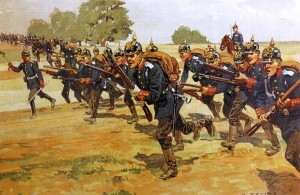 Lets not forget the Battle of Dorking which was a book depicting a german seaborne invasion of GB after the Franco Prussian war. Most of these invasion literature books are found online. A very welcome development! If you can stretch a bit, there is a real need for Mounted schutztruppen officers and troopers for SWA Africa (horse as well as camel) for Herero and Nama war campaigns. Would also welcome specialist units, such as funkentelegraph wagons and heliograph signalers. Will the sculptor be the same as your FFL range, as they are excellent?